The firm founded by the former dressmaker to the Queen, Hardy Amies, has called in administrators after a failed rescue bid. The company, founded in 1946 by the late Sir Hardy Amies, is appointing Kroll as administrators after its funding remained "unclear". It said: "Until very recently the board was hopeful that funding would be received." The statement said the move had been taken with "regret". Shares in the Savile Row tailor were suspended two weeks ago when major shareholder Arev Brands Limited was unable to meet a request for further funds. Until recently substantial finance was provided to the group by Arev, which owns a 49.3% stake in the firm, including £1.5 million in loans since April. Hardy Amies, which has around 50 staff, has been suffering losses for several years. In June it warned that poor womenswear sales would see losses accelerate in the first half of this year and that they would continue into 2009. It reported underlying losses of £1.1 million in 2007, although this was an improvement on the £1.8 million seen the year before thanks to a 35% surge in sales. The group has six outlets across the UK, including a store at Bristol's new Cabot Circus shopping centre. It is also stocked in dozens of stores nationwide, including Harvey Nichols. Last year, two new Hardy Amies menswear stores were opened in Edinburgh and Chester, followed by the launch of a new website and online store this year. 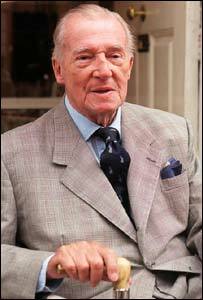 Sir Hardy, who died in 2003, founded the firm initially as a men's shop at 14 Savile Row in 1946, central London, which is still the group's flagship store. 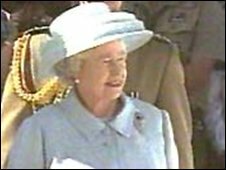 The former wartime intelligence officer began dressing Princess Elizabeth in 1952 and was granted a royal warrant three years later. Sir Hardy shook up his traditional image when he created the futuristic costumes for Stanley Kubrick's science fiction film 2001: A Space Odyssey. And in 2001 itself he sold his business to the Luxury Brands conglomerate.